Wang wenhai, Male, Born in Changge city, Henan Province in 1951, He have been working as an associate researcher in Yan'an Revolutionary Museum, Shanxi Province, China since 1970. 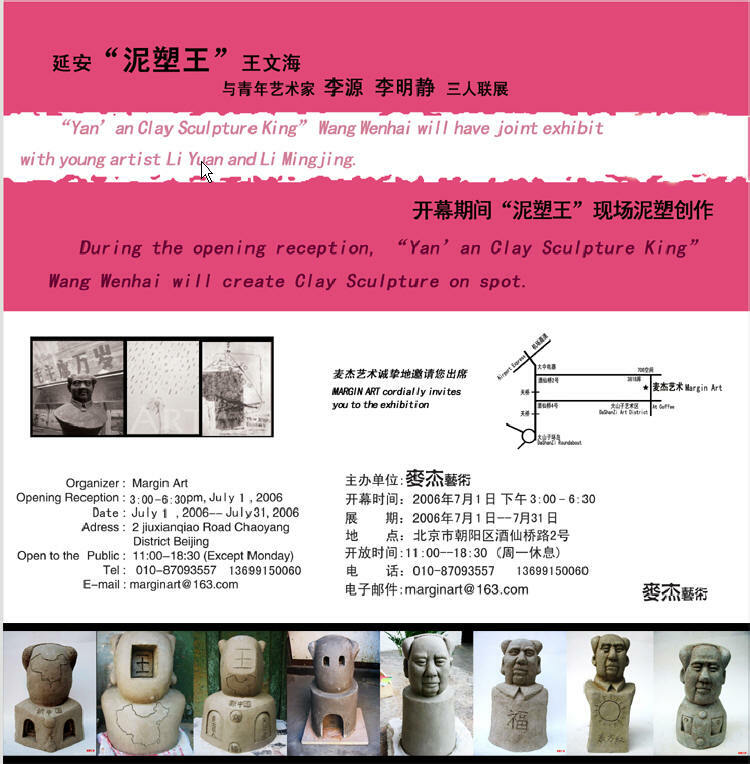 In more than 20 years he have created Clay Sculpture works for more than ten thousand, and formed his own unique Clay Sculpture style, so he is admired "Clay Sculpture Artists" by people. For so many years Wang Wenhai have been specially reported by hundreds of Newspapers, Magazines, Internets, and Radios and TV Stations, such as: Xinhua News Agency, China Central Television Station (CCTV), China National People’s Radio, US Associated Press (AP), Voice of America (VOA), British Broadcasting Corporation (BBC), Japanese TV station; << New York Times>>, <<The Times>>, <<China Youth Newspaper>>, <<China Culture Newspaper>>, <<People Daily>>, <<Bright Daily>>, <<China Daily>>, and so on.